The company was formed twenty years ago by Gary John Svensen for the purpose of negotiating acquisition and sale agreements, in relation to business aircraft and other such assets, on behalf of buyers and sellers alike. SMS is the independent representative in Australia for Gulfstream Aerospace Corporation. In this time SMS Pty Ltd has amassed sales in excess of $1,000,000,000.00 in turnover. 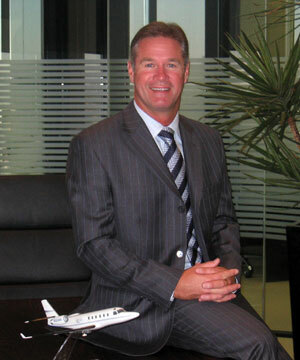 As a result of 35 years in both the local and international business communities, SMS Pty Ltd sole principle has built a solid reputation based on honesty and hard work, at the same time developing a vast network within the business aviation community worldwide. Should you choose SMS Pty Ltd to represent you in the purchase or sale of your business aircraft, you can be assured of the highest level of security and integrity in all dealings – AT ALL TIMES.